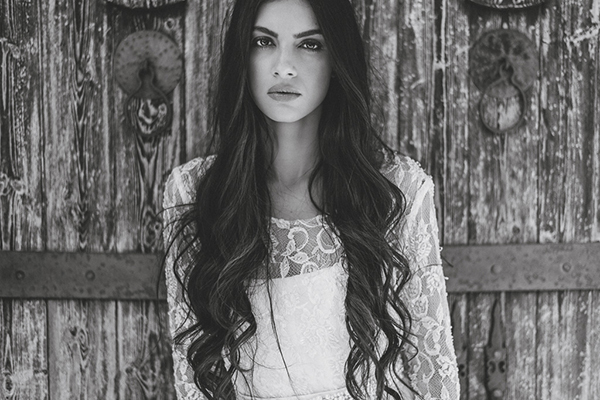 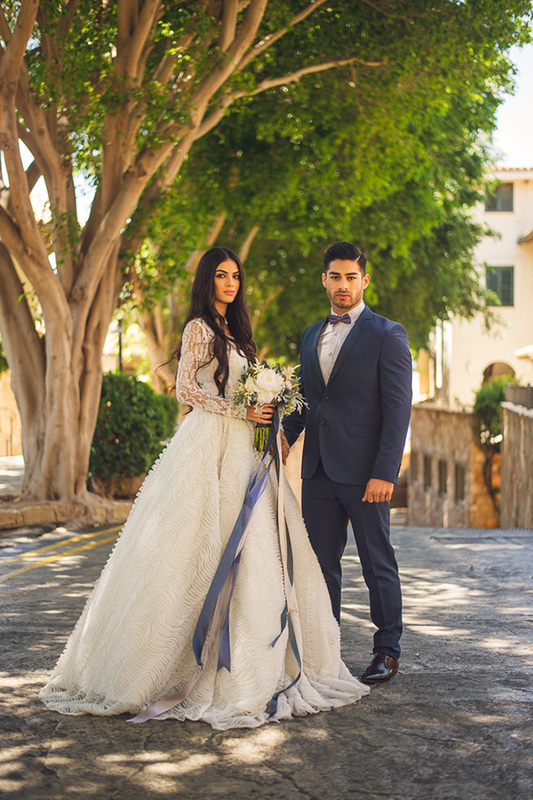 From the very first image photographer Antonis Georgiadis shared with us, we knew this styled edgy and romantic styled shoot in Cyprus was going to be amazing. 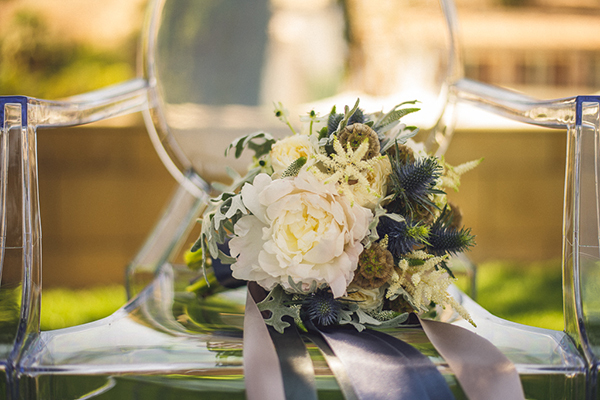 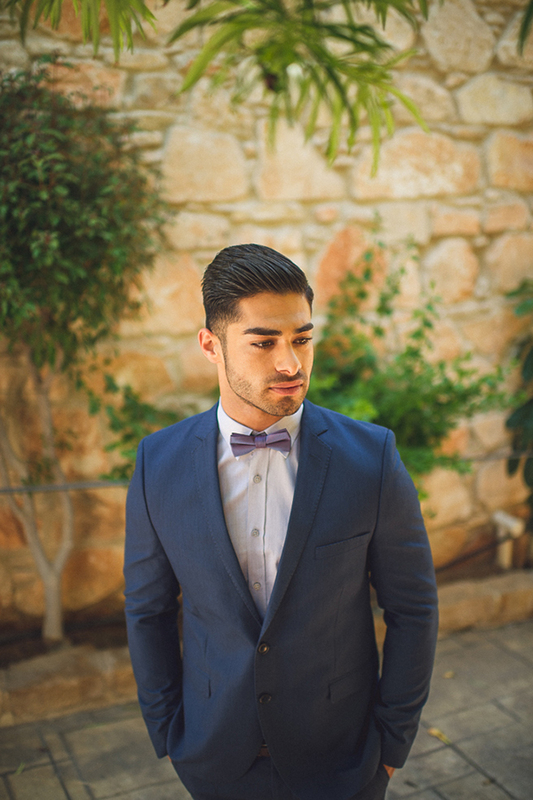 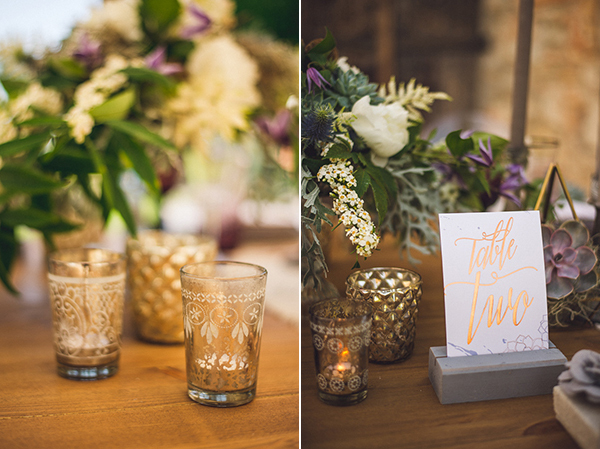 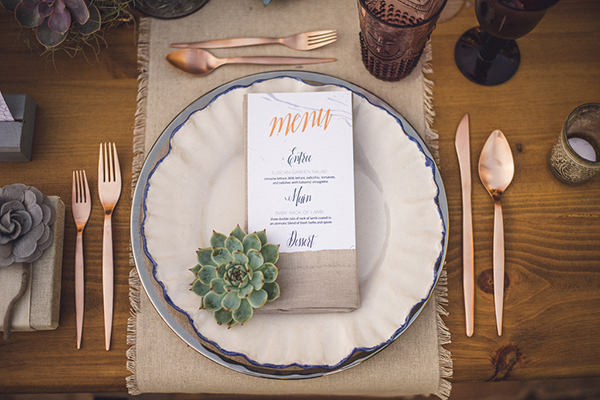 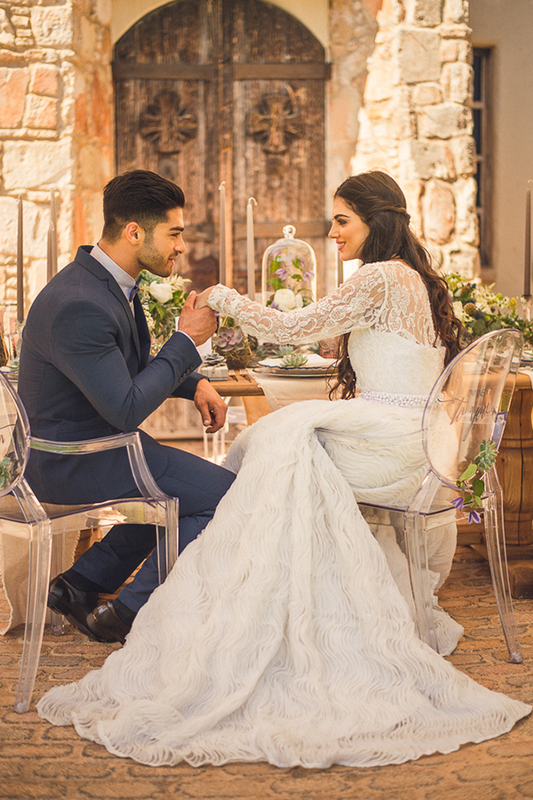 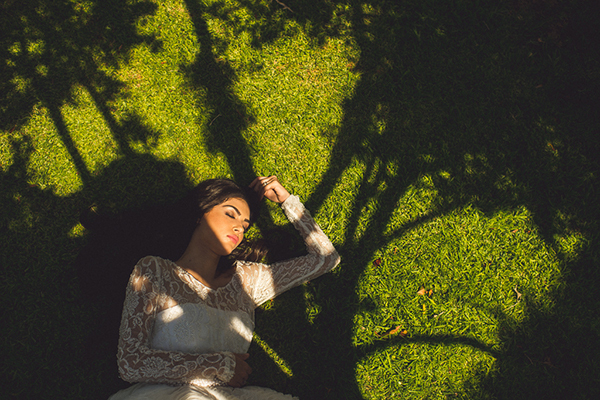 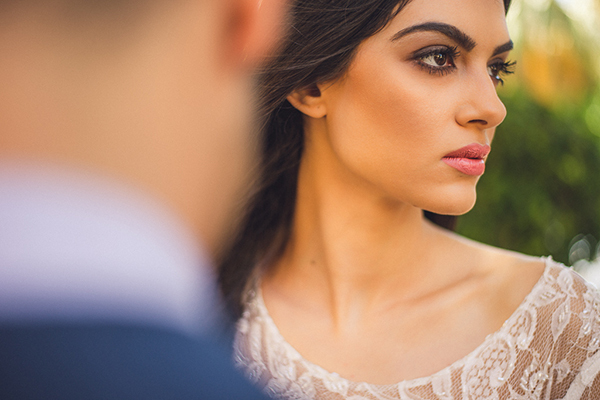 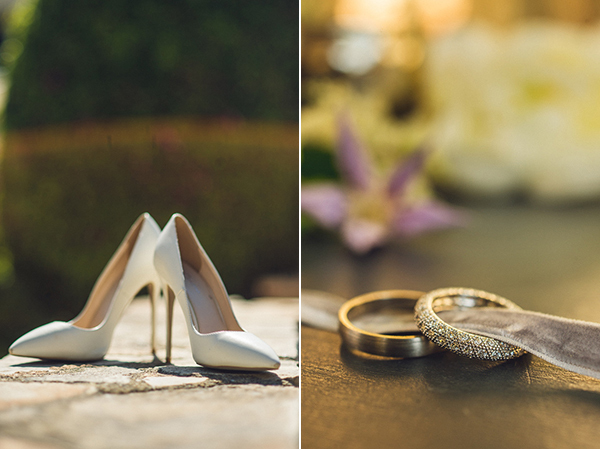 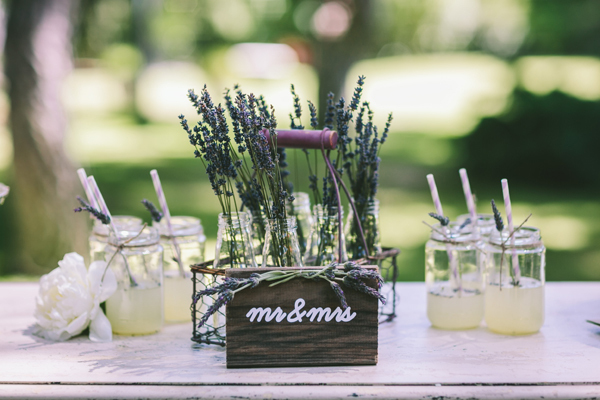 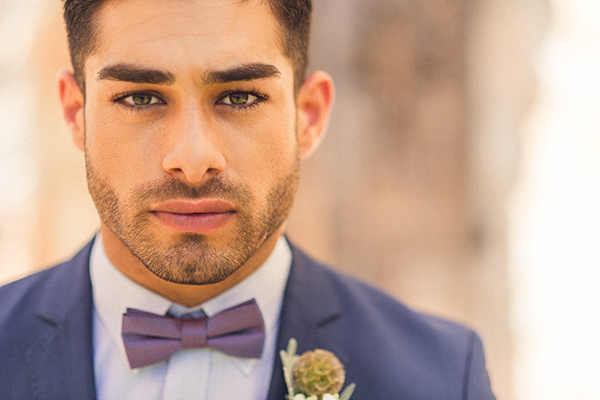 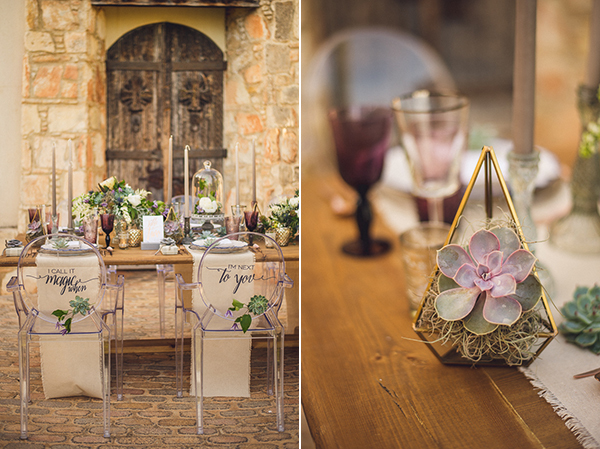 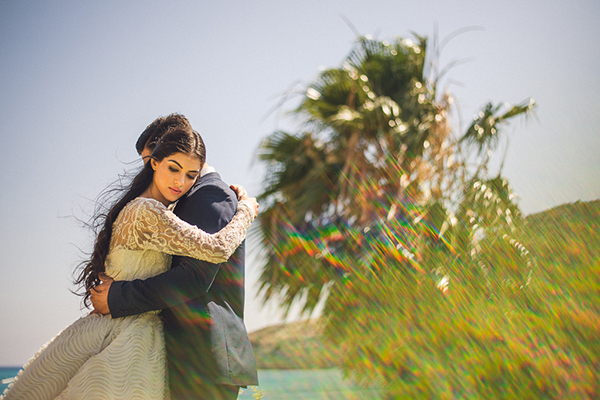 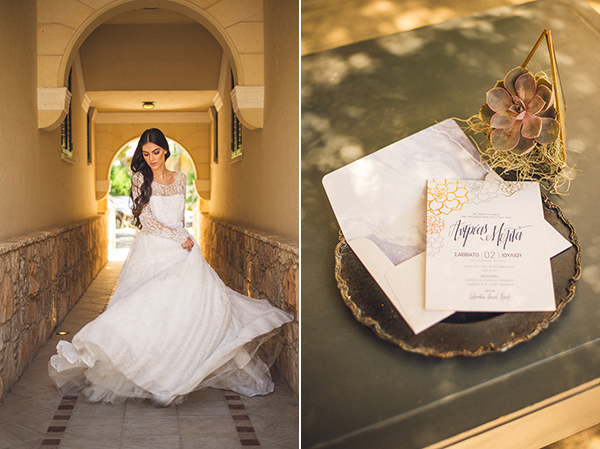 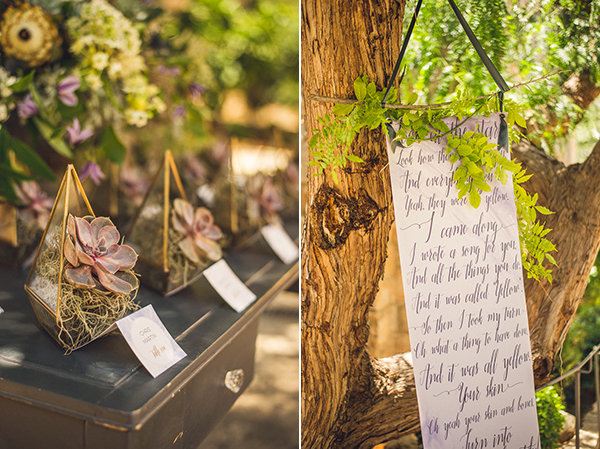 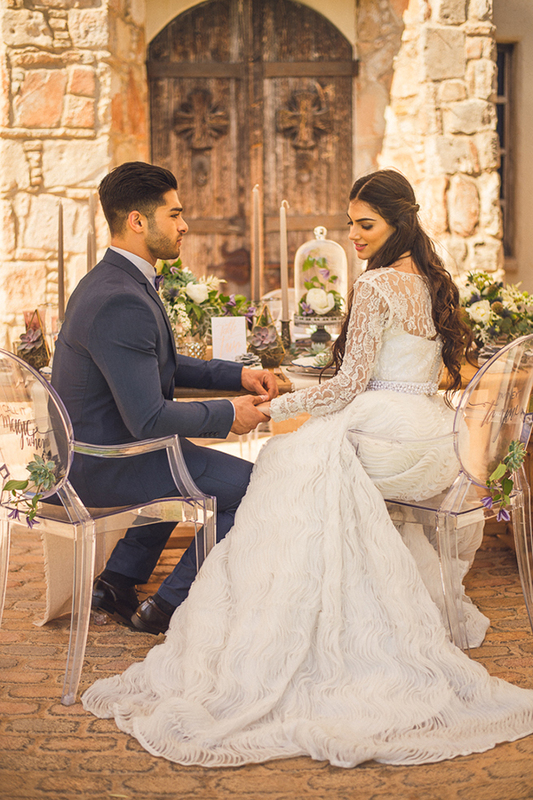 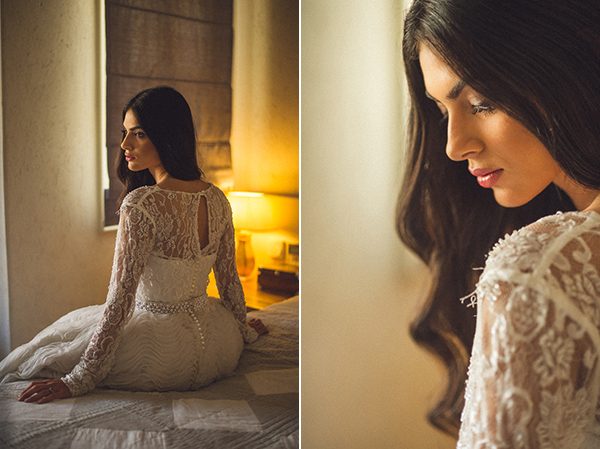 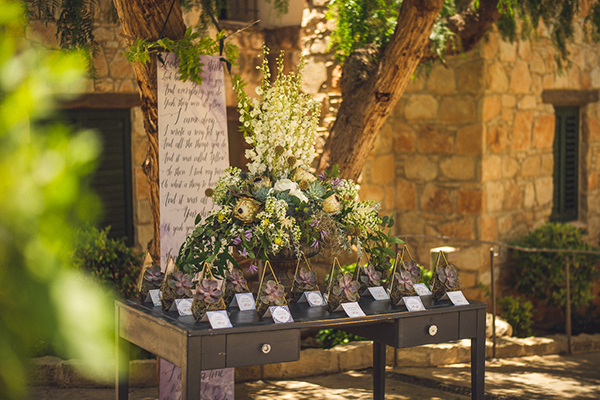 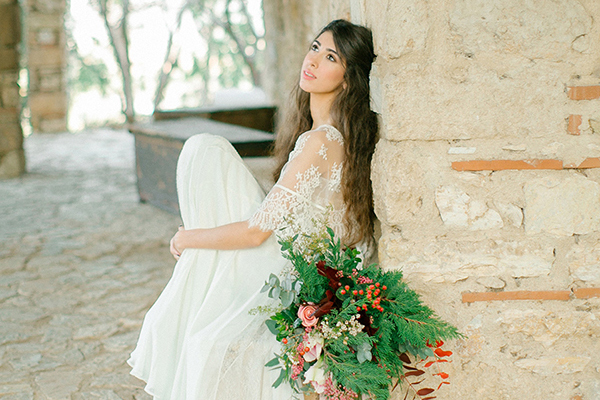 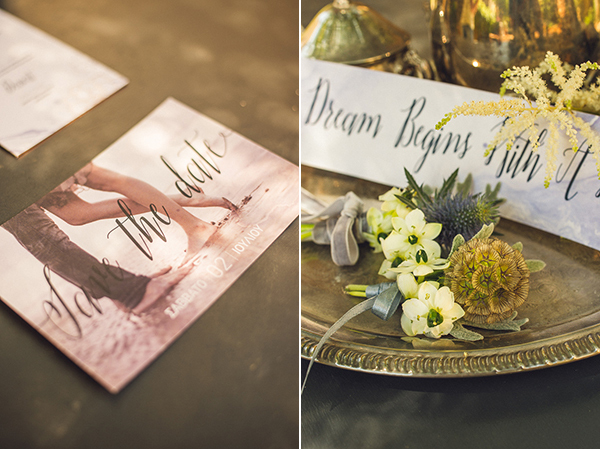 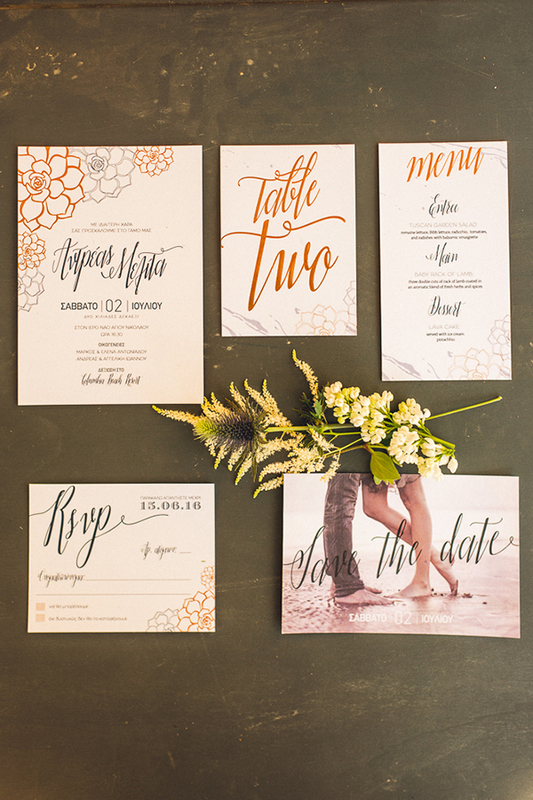 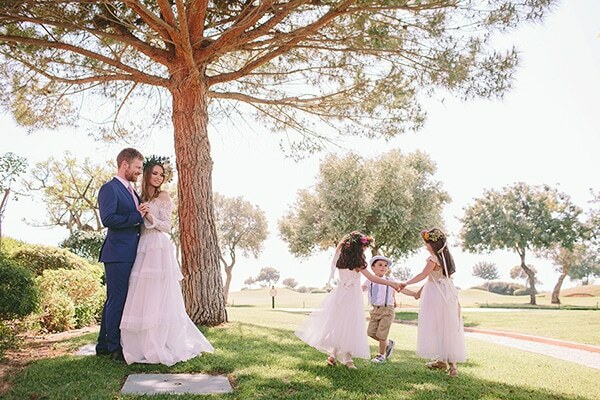 The styled shoot took place at the Columbia Resort, a stunning five star resort in Cyprus. 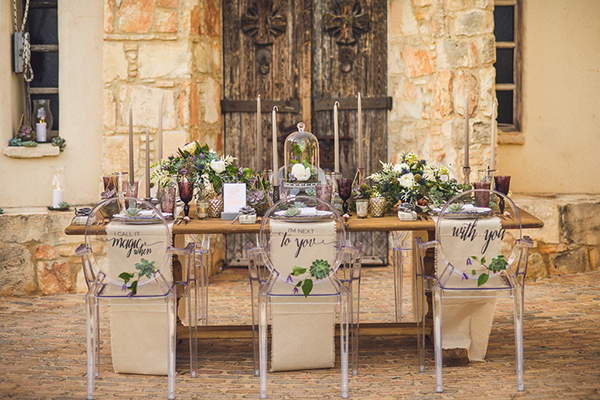 Wedding planner Artemis Aristidou and her talented team from Fresh Individual Creative Events created the most beautiful setting that every bride dreams of: combining very creatively modern and rustic detailes (natural wooden table with modern lux Louis Ghost chairs) and adding lush floral designs witn gorgeous peonies, delphinium, dusty miller, astilve, this tablescape was amazing. 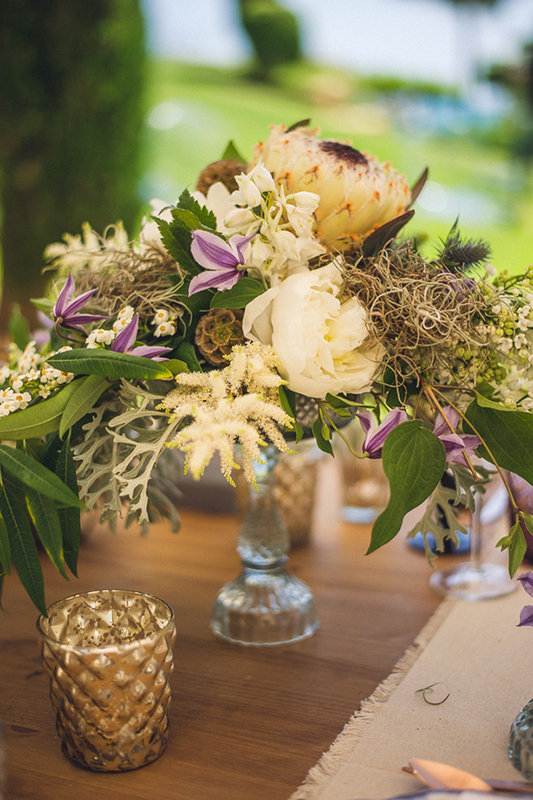 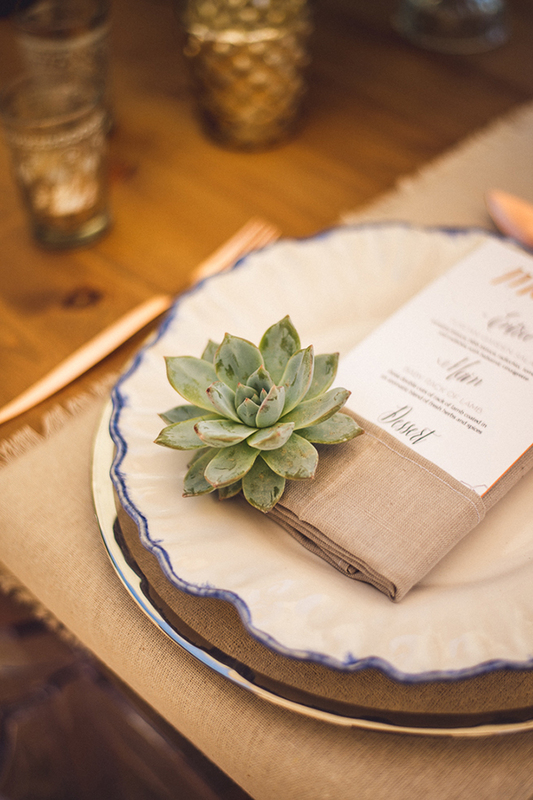 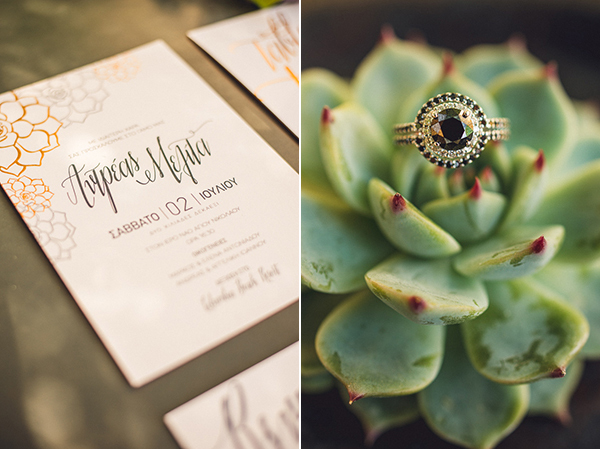 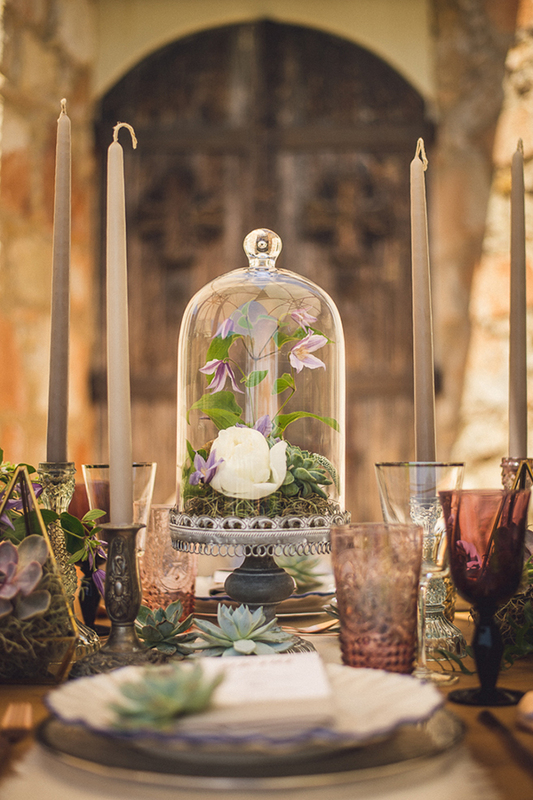 We absolutely loved the ultra chic terranium with succulents… A ceremony are was created from scratch, a stunning circle of flowers including dusty miller and proteas. 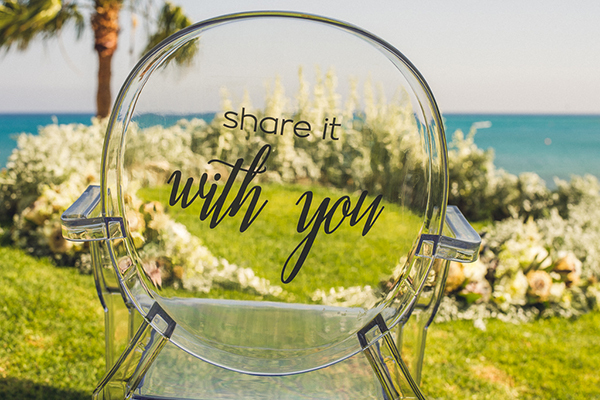 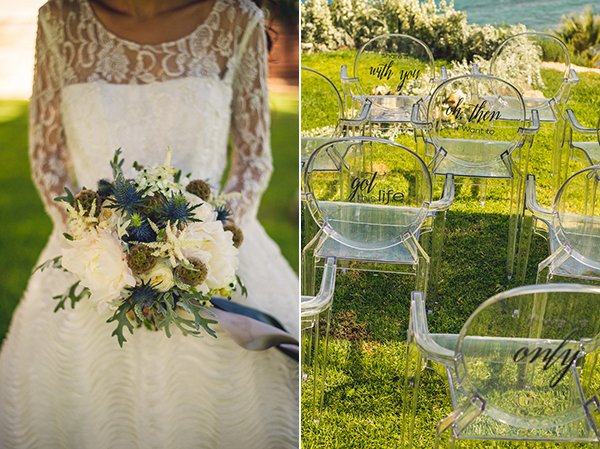 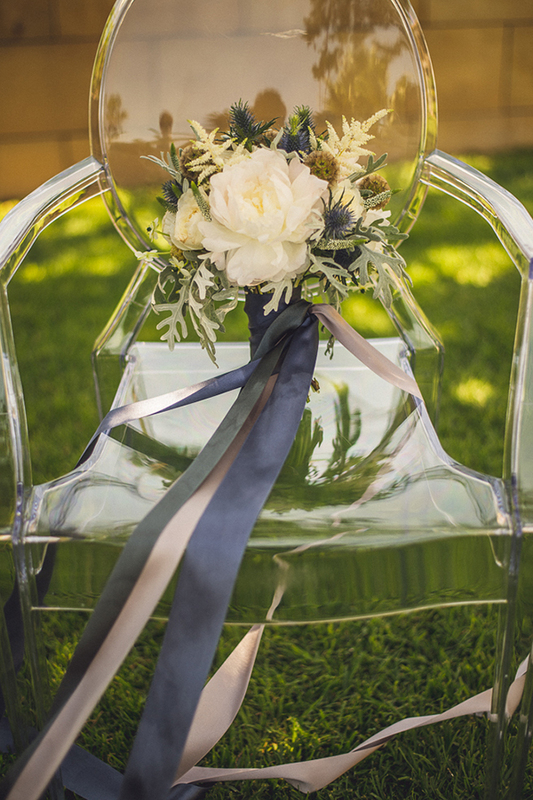 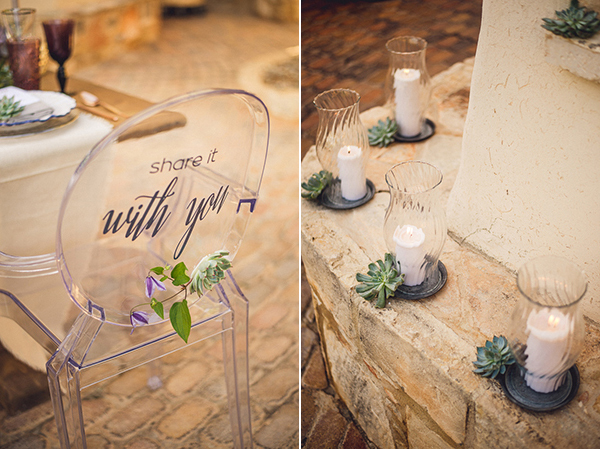 A unique detail was the calligraphy inscription on the ghost chairs that were the words from the wedding proposal. 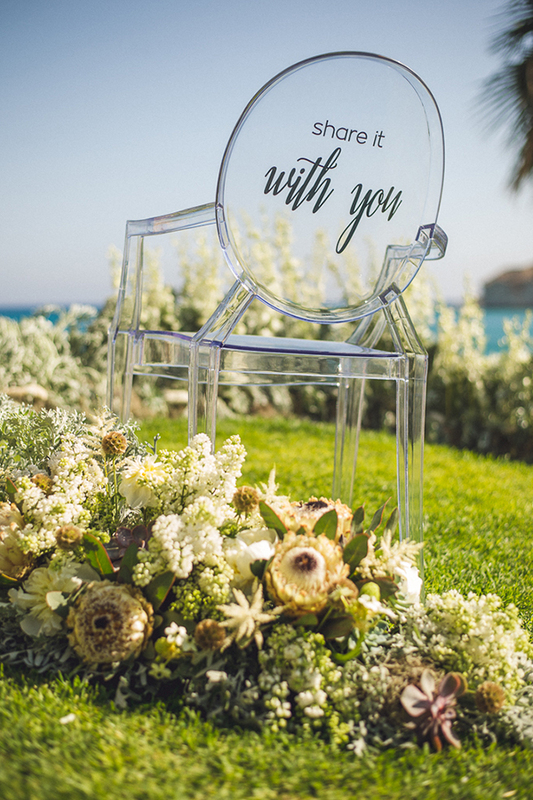 You definitely can’t get more romantic than that! 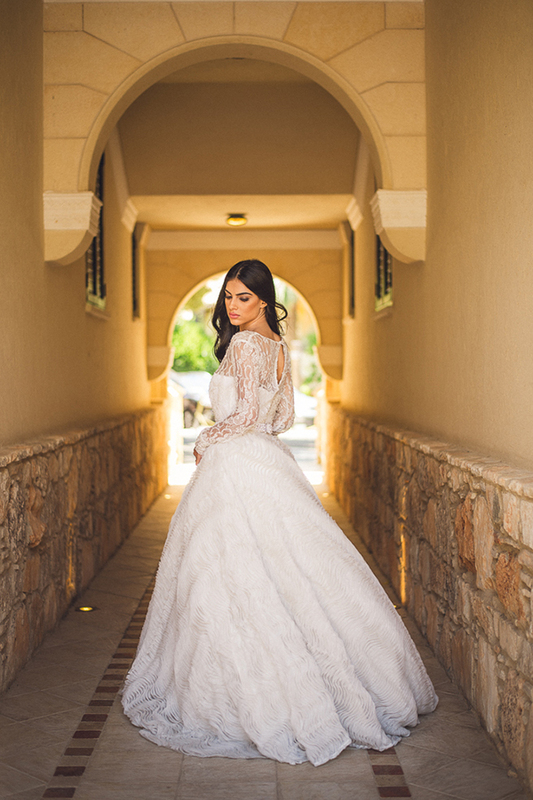 Now when it comes to wedding dresses that can make your heart skip a beat… the piece of art wedding gown by designer Gregory Morfi left us speechless… seriously. 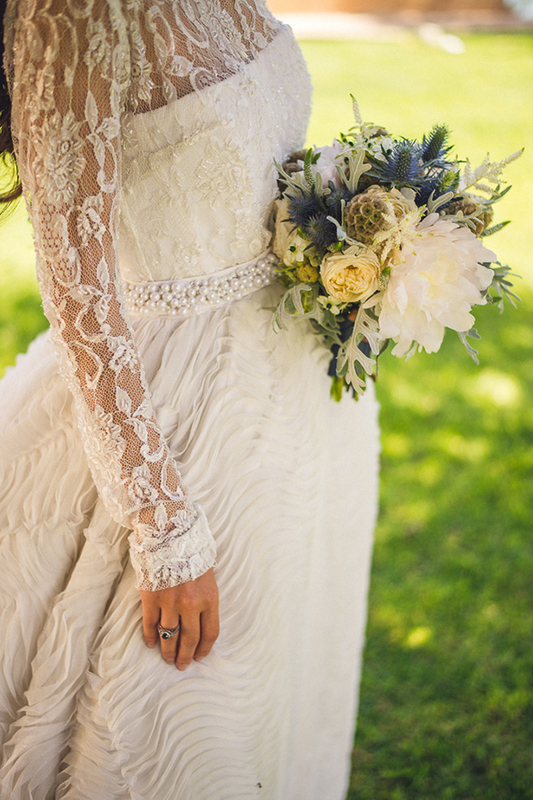 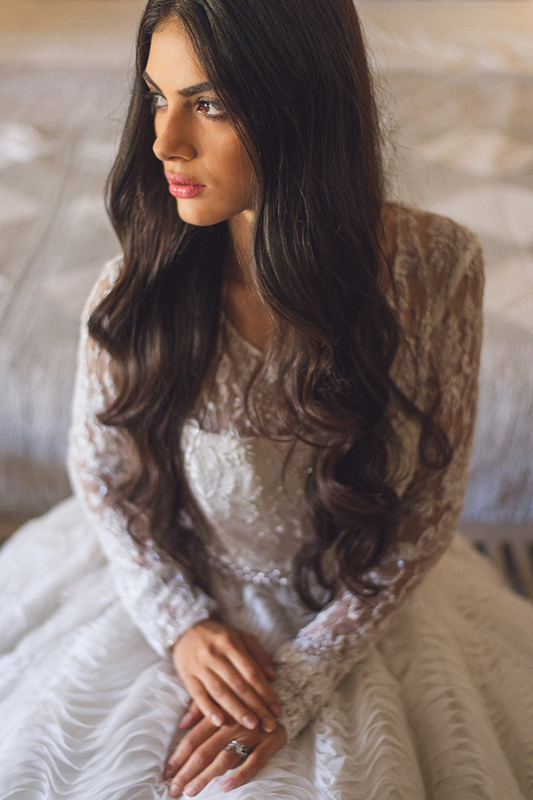 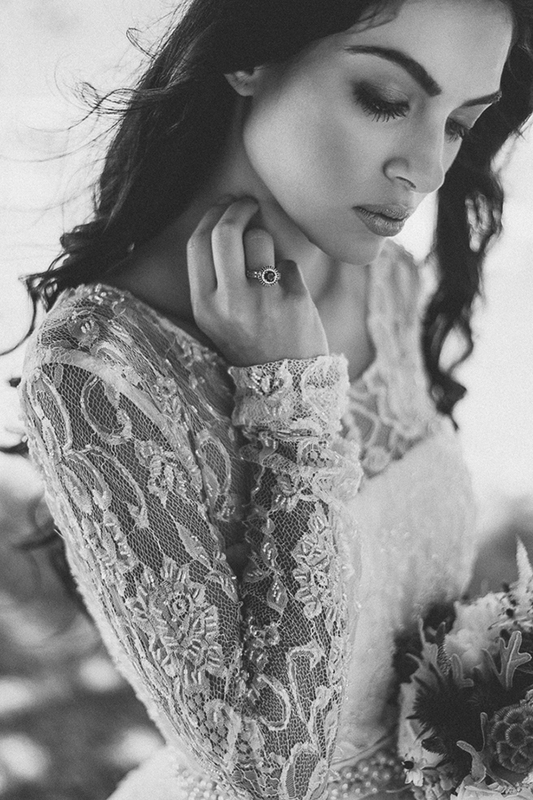 A vintage style wedding dress with long sleeves from French lace in an off-white color. 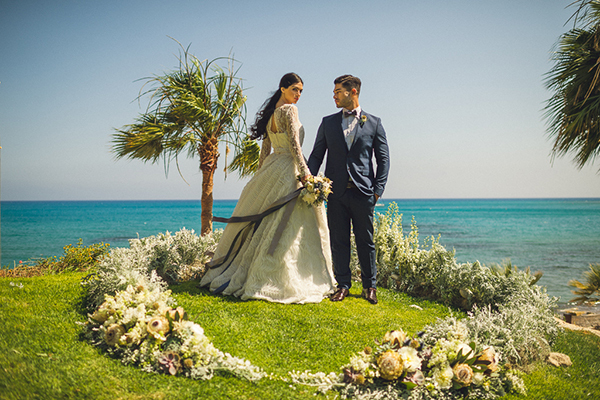 The low part of the dress is made from exquisite silk tulle and it was inspired by the sea, from the movement of the waves…. 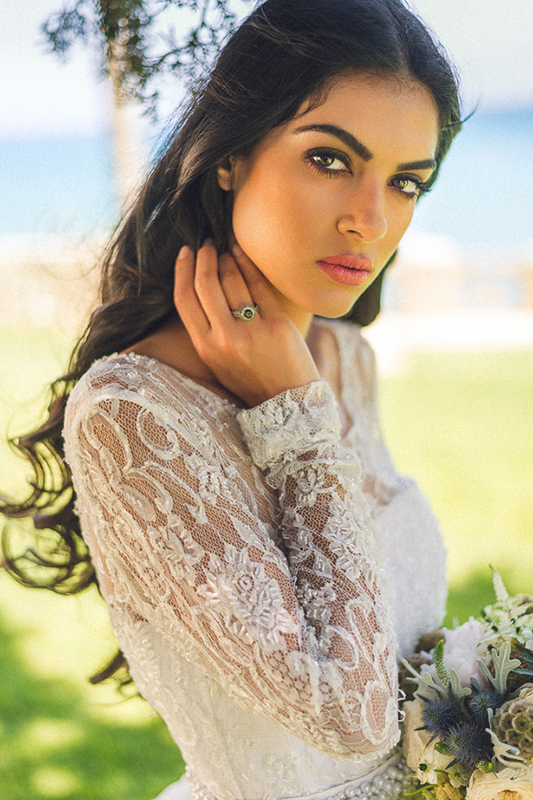 Columbia Beach Resort, Columbia Beach Resort, Fresh Events, Mint Event Finds are on Chic & Stylish Selected Vendors.